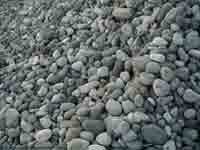 This is a Panoramic Picture of Pecorini Mare taken by me in August 2001 in the early morning. 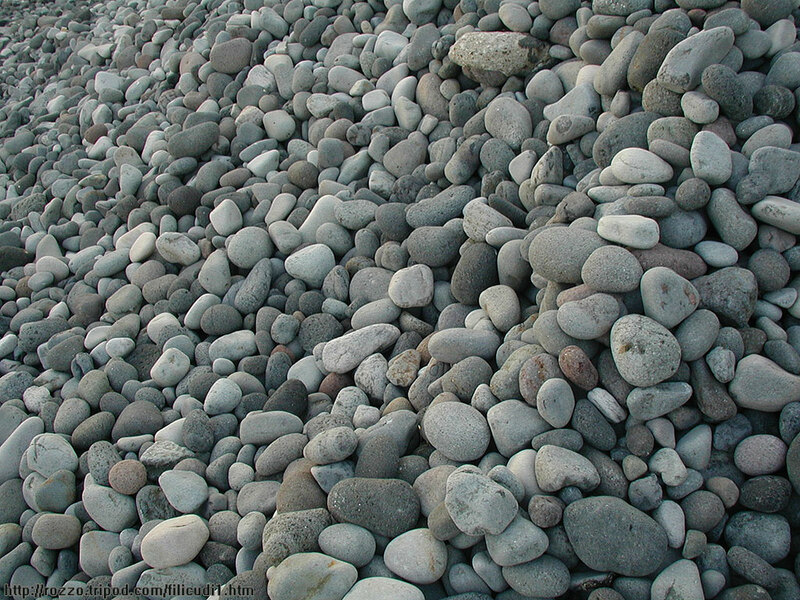 click on it to open the same picture bigger in another window. If you are using M$ Internet Explorer 6 check out you've set it to show big pictures at the exact size (otherwise it will be resized to fit in your window)! 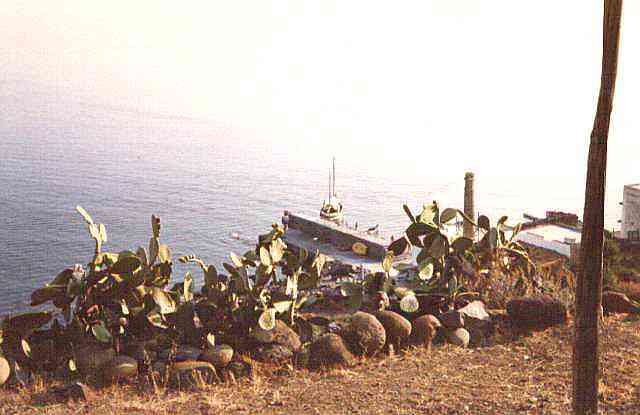 On the left there's Punta Stimpagnato, in the middle the houses of Pecorini a mare, on the right "Punticella" and on the extreme right there's Capo graziano and its beach. This is pecorini quite 30 years ago... see the difference ? 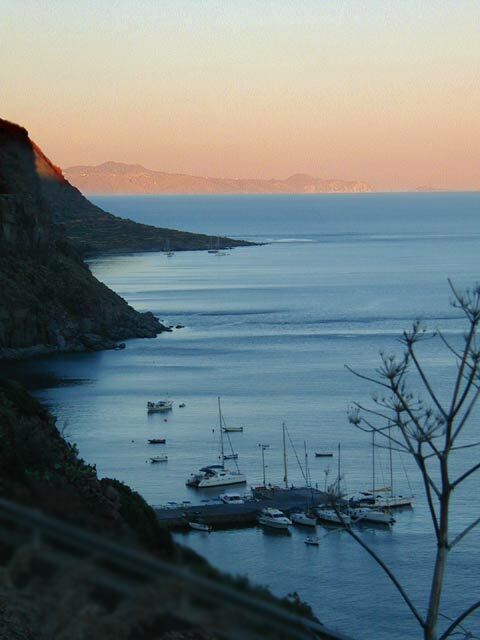 Here's a sunset at Filicudi Pecorini (you can see also "le punte" under Capo Graziano) in July 2003. 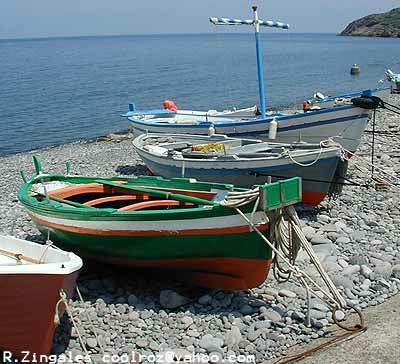 See the traditional boats used by fishermen in Filicudi and Sicily. Copyright statement! © All images in this web site are under © (Copyright) of Roberto Zingales, unless explicitly stated. No one is allowed to copy, sell, or reproduce them without previous written permission by the author. I'm not a lawyer, but you know what I mean. Thank you.